We’ve just released a minor update to our iOS app, which fixes a problem that could make it hard to preview the text of a contract. If your iOS devices aren’t set to automatically install app updates, you can manually update your copy of our app by going into the App Store app on each of your devices. We’re pleased to announce that we are now able to offer a data import service for The Photographic Organiser (TPO) customers who want to import their data into Light Blue. We are not importing quotes or purchases from TPO. Read on for more detail about how we’re importing each type of data from TPO. TPO job types are imported into Light Blue as shoot types. We’re importing the name and default session length for you. TPO products are being imported into price lists in Light Blue, split out into separate price lists for each TPO product group name. We are importing the product name, code (which won’t be displayed until Light Blue 7 is released), unit price, tax rate, and unit cost. Job events are imported into Light Blue as appointments (for any TPO job type that ends in “Viewing” or “Meeting”) or sessions. The status field in Light Blue is at shoot-level rather than session-level, so we’re writing both the TPO event type and status into the session description field. If any of the sessions for a shoot that we’re importing are confirmed, we’re setting the status of the shoot to confirmed. TPO’s VAT calculations work differently to Light Blue’s, so we aren’t importing the items from TPO’s invoices. Instead, we’re importing a single item and using that to store TPO’s invoice net, VAT, and gross totals. This means that you can use your imported invoices to see the total value of each of your historic invoices, but not the details of the items that your clients ordered. If those details are important to you, you should keep a copy of the ‘Financial_Invoices_Items.xlsx’ file exported from TPO so that you can refer back to it in future. We’re also matching up the imported receipts with your imported invoices. 13 March 2018 update: the way that TPO handled deposits from clients means that you can end up with deposits from clients that appear as unallocated Payment records in Light Blue. Because the way that TPO handles deposits is so different to the way that Light Blue handles them, we are not planning to change the way that we’re importing these records. If you would prefer to not import your TPO receipts into Light Blue, let us know and we will exclude them from the import. To be able to import your TPO data into Light Blue, you need a Light Blue account and to have set up the desktop version of Light Blue. We strongly recommend that you take advantage of Light Blue’s free trial and our training and support resources to ensure that it is a good match for your needs before purchasing Light Blue or arranging your TPO data import. Contact us via email so that we can check that your account is set up and ready to import data, and schedule a date for your import. Contact TPO’s developers to arrange for them to export your TPO data. Send us your TPO data export. We will need to check the data and arrange a time when we can access your account to do the import. We charge £95+VAT to import your TPO data into Light Blue. Here at Light Blue Software we work hard to deliver the type of customer service that we’d like to receive ourselves, and like to think that it makes a difference to our customers. The SWPP Trade Awards offers us an opportunity to be recognised for this, and maybe take home a trophy too. 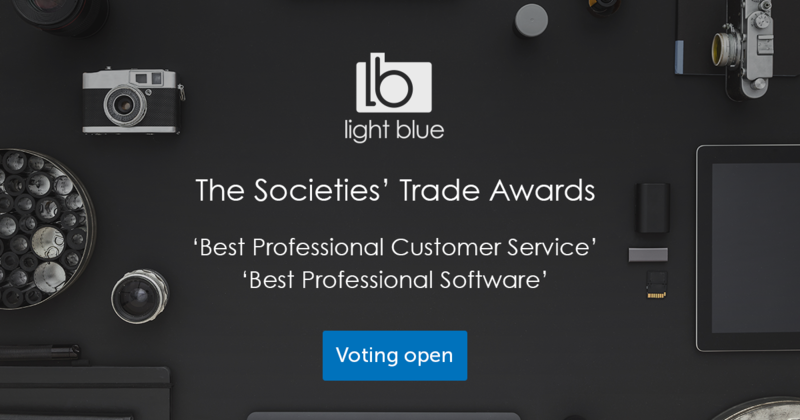 So if you feel that Light Blue has had a positive impact on you and your business, we’d really appreciate your vote in the ‘Best Professional Customer Service’ & ‘Best Professional Software’ categories of the SWPP trade awards. You can cast your vote here. 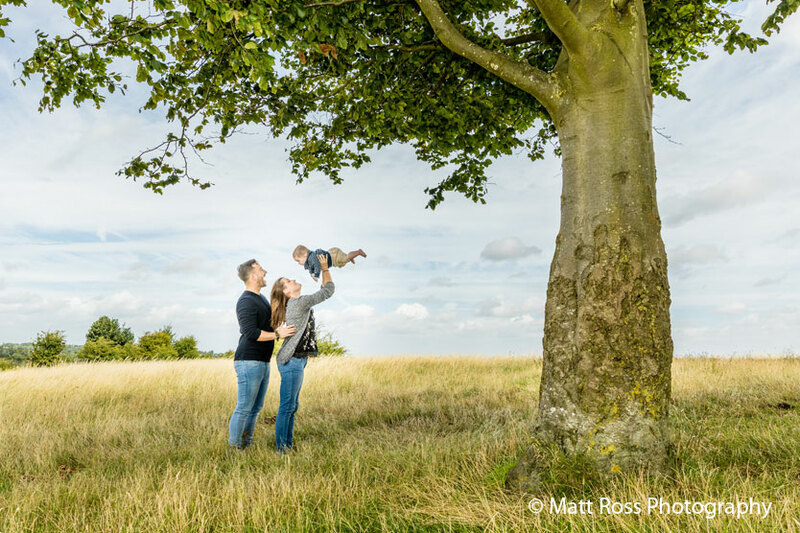 It should take you less than a minute to cast your vote, and the SWPP are entering all voters into a prize draw, where you could win a Masterclass Full 4 Day Pass to The Societies 2018 London photo convention (worth up to £225). 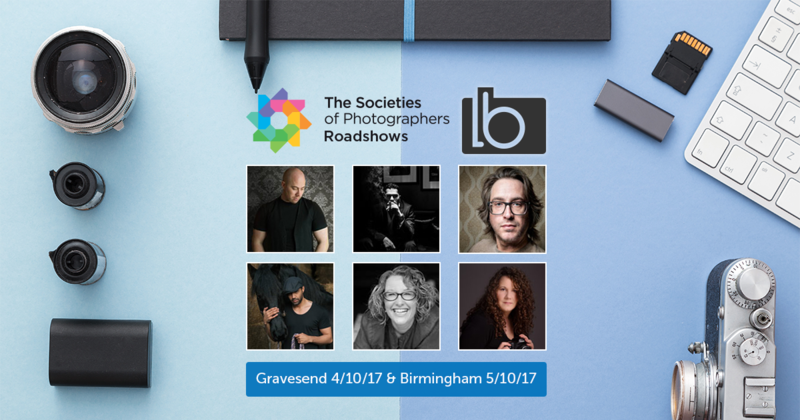 We’ll be at The Societies of Photographers Roadshow in Gravesend on Wednesday 4th October & Birmingham on Thursday 5th October. It’s a great opportunity to come and see us at the free trade show as well as enjoy the fantastic programme of masterclasses. The French government is introducing a new set of financial regulations called NF525 on 1 January 2018. Only photographers with businesses based in France are affected by NF525, so please don’t be concerned by this if you’re not based in France. NF525 is designed to combat fraud, and is aimed at cash register and accounting software. It requires French businesses to be using software that has been officially certified as complying with the new regulations. Although Light Blue includes helpful invoicing and simple bookkeeping features in addition to its core shoot and contact management features, we’ve never intended Light Blue to be a comprehensive accounting package. However, because it generates invoices it still falls within the scope of NF525. We have therefore been working with French lawyers to find out exactly how the rules affect us and whether we will be able to get Light Blue certified under NF525. NF525 has several technical requirements, and some of those requirements can’t be met with a system like Light Blue that allows you to work offline and then, later on, sync your changes between several devices. We might be able to change the way that Light Blue works to comply with the technical requirements at some point in the future, but the new regulations also include some non-technical requirements that are very hard for a company that doesn’t have a French office to comply with. Together, these requirements from the French government mean that we will not be able to get Light Blue certified under NF525. Photographers who are using Light Blue in France can of course carry on using Light Blue’s core shoot and contact management features, but they should ask their accountants for advice about whether they need to find an alternative invoicing system. We’ve heard a lot of grumbling about NF525 from the various companies and people that we’ve spoken to in France, and it sounds like a lot of them are going to struggle to meet the government’s certification requirements by the 1 January 2018 deadline. We will be keeping a close eye on the situation, and we hope that the regulations evolve to allow French photographers to continue to use their existing invoicing systems. Le gouvernement français est sur le point d’introduire de nouvelles règles financières appelées NF525 à partir du 1er janvier 2018. Seuls les photographes dont l’entreprise est basée en France sont affectés par les règles NF525, si vous n’êtes pas basé en France, ceci ne vous concerne pas. Les règles NF525 ont été conçues pour lutter contre la fraude, et sont destinées aux logiciels de caisse et de comptabilité. Tout cela pour s’assurer que les entreprises françaises utilisent des logiciels ayant été officiellement certifiés comme étant compatibles avec ces nouvelles règles. Bien que Light Blue comprenne de simples caractéristiques comptables et de facturation en plus de ses caractéristiques principales de gestion de travaux photo et de contacts, il n’a jamais été notre intention que Light Blue devienne un package comptable complet. Cependant, étant donné que le logiciel génère des factures, il relève toujours des règles NF525. Nous nous sommes donc concertés avec des avocats français pour découvrir exactement comment ces règles nous affectent et si nous pourrions voir Light Blue certifié selon les règles NF525. Les règles NF525 possèdent plusieurs exigences techniques, et certaines de ces exigences ne peuvent être satisfaites avec un système comme Light Blue qui vous permet de travailler hors ligne puis, plus tard, de synchroniser vos modifications entre plusieurs appareils. Il se peut que nous puissions changer la manière dont Light Blue fonctionne pour se conformer aux exigences techniques dans un futur, mais les nouvelles règles comprennent certaines exigences non techniques auxquelles il serait très difficile de se conformer pour une entreprise ne possédant pas de bureaux physiques en France. Ensemble, ces deux exigences en provenance du gouvernement français signifient que nous ne pourrons pas voir Light Blue certifié selon les règles NF525. Les photographes qui utilisent Light Blue en France peuvent, bien sûr, continuer à utiliser les caractéristiques principales de gestion de travaux photo et de contacts de Light Blue, mais ils devraient prendre contact avec leurs comptables pour obtenir des conseils quant à la nécessité d’utiliser un système de comptabilité alternatif. Les règles NF525 ont prouvées être une source constante de grognements de la part des différents individus et entreprises que nous avons contacté en France, et il semble que bon nombre d’entre eux vont avoir du mal à se plier aux exigences de certification du gouvernement à compter de la date limite du 1er janvier 2018. Nous surveillerons la situation de près, et nous espérons que les règles évolueront pour permettre aux photographes français de continuer à utiliser leurs systèmes de facturation existants.